A value-packed box of cloth diapering essentials with everything you need to start using cloth diapers now! Kit Includes Flushable liners and our step-by-step guide to no-fuss cloth diapering To make it easy for you. No rinsing, no pins, no stuffing With this cloth diaper system. Mama’s Birth & Baby Kit Full Size will get you set with full-size must-haves. 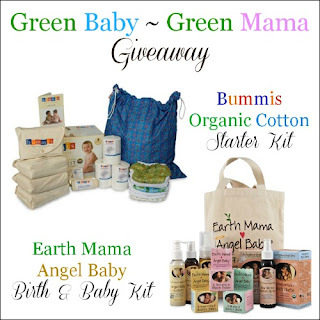 Worry-free, Natural products to comfort mama and baby? That’s a big check! Disclosure: I received no compensation for this publication. My opinions are my own and may differ from those of your own. Why We Love GreeN And The Other Participating Bloggers Are not responsible for sponsor prize shipment. Please contact teri@mompoweredmedia.com with questions or to see your business or blog featured on the next event!